49ers tight end Vernon Davis admitted to being taken aback by his team’s conservative offensive philosophy and by being thrown into pass protection against Cowboys linebacker DeMarcus Ware according to Kevin Lynch and Gwen Knapp of the San Francisco Chronicle. “I didn’t think I would be up against Ware like that,” Davis said. The problem was it didn’t help. Ware recorded two sacks. Meanwhile Davis was thrown the ball twice; he caught both passes for 18 yards total. “I didn’t think that was going to happen because their secondary was banged up,” Davis said of his limited opportunities. With both Edwards and Crabtree fighting injuries, it’s clear the Niners need to involve Davis more often in the passing game. Trouble brewing for the Niners? Davis’ Teammates Tired of Him Acting Like a Kid? 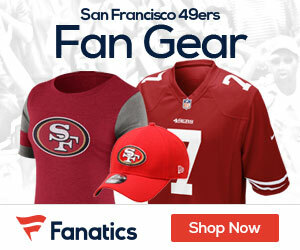 Be the first to comment on "49ers TE Davis upset with team’s offensive gameplan"